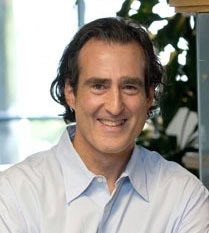 Dr. Mello is a professor of molecular medicine at the University of Massachusetts Medical School as well as a Howard Hughes Medical Institute investigator. He is being honored for his seminal discoveries relating to “gene silencing,” or RNA interference. Dr. Mello received his BS from Brown University in 1982 and his PhD from Harvard University in 1990. He was a postdoctoral fellow at the Fred Hutchinson Cancer Research Center in the laboratory of Dr. James Priess. 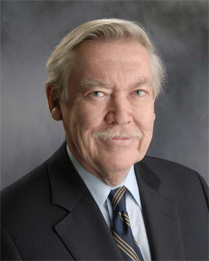 Dr. Mello is a 2006 recipient of the Nobel Prize for Medicine and Physiology. Dr. Mello is a member of the National Academy of Sciences and the American Academy of Arts and Science. Dr. Moore received his Bachelor of Medicine and Doctor of Philosophy degrees from the University of Oxford. Shortly thereafter, he was appointed a Prize Fellow at Magdalen College, Oxford. He was a Queen Elizabeth II Visiting Fellow and Senior Research Scientist and Head of the Laboratory of Developmental Biology at the Walter and Eliza Hall Institute of Medical Research, Melbourne, Australia. Since 1974 he has been a Member at the Sloan-Kettering Institute for Cancer Research and heads the James Ewing Laboratory of Developmental Hematopoiesis. He is perhaps best known for identifying and purifying a human growth factor, G-CSF, that stimulates white blood cell production (neutrophils). In collaboration with Amgen, recombinant G-CSF (Neupogen) was developed. This therapy has significantly improved survival in cancer patients. Mr. Bazell is being honored for patient advocacy by increasing awareness of science and medicine through the media. After graduating from the University of California, Berkeley, in 1967 with a B.A. in biochemistry and Phi Beta Kappa honors, he studied biology at the University of Sussex as part of his graduate work before returning to Berkeley to complete his doctoral candidate degree in immunology. Mr. Bazell pursued a dual interest in journalism and science by joining Science magazine in 1971 and writing for its News and Comment section. In 1976, he began a career in broadcast journalism by joining WNBC in New York as a reporter before moving to NBC News, where he was one of the first network news correspondents to report on the emerging AIDS epidemic in the early 1980s. He continues to cover health and science issues for the network. His reports appear on NBC Nightly News, Today, and Dateline NBC. Mr. Bazell is a recipient of two Emmy Awards for his reports on the human brain, the Alfred I. duPont-Columbia Award, the Maggie Award from Planned Parenthood, and the George Foster Peabody Award for his service to broadcast journalism. In addition to his television accomplishments, he is the author of HER-2, the acclaimed account of the making of the first targeted cancer drug. Gilda’s Club was founded in memory of former Saturday Night Live comedian Gilda Radner, who died of ovarian cancer at the age of 43. Gilda’s Club Worldwide works with local communities to create free, non-residential, homelike meeting places where men, women, and children with cancer, and their families and friends, can come together for emotional and social support. The organization is being honored for providing, free of charge, a non-residential, homelike environment that enables people living with cancer to create an affirming and vibrant community. Through support groups, social activities, and educational seminars, Gilda’s Club helps people learn how to live with cancer in the company of a community of peers. As cancer becomes a chronic rather than fatal illness, the need for ongoing support to live with this disease continues to increase. Gilda’s Club fulfills this need not only for the person with the disease, but also for friends and family who find they are living with cancer.